'Vive La Difference' ( Mary Dunn, R. 1989). Seedling L107-5. LA, 34" (86 cm), Midseason bloom. 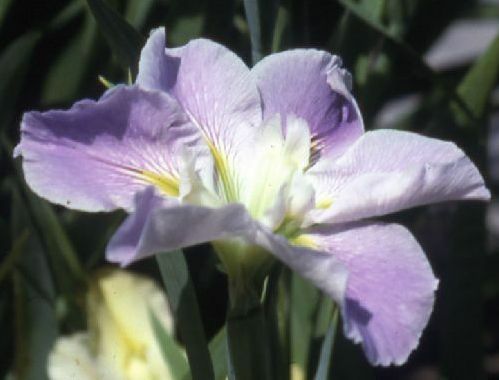 Standards light orchid lavender; green styles; Falls lightly ruffled light orchid lavender, yellow line signal. 'Monument' X 'Handmaiden'. Bay View 1990.